I deleted it, and nothing happened. Still 23b. OR, it could also be about the Fall of Constantinople @Lance . It can be the same thing, Byzantines has to face hordes of Ottoman attacks, until Sultan Mehmed appears, you ( Konstantinos ) have to kil him, but it will be REALLY hard, so it can be an endgame, or a game was won. @Anonymous That idea is amazing, hope urb uses it. I have another suggestion if Leningrad turns into MnB4’s setting. Oh well. Hope people don’t find a way to use it for rulebreaking. About the cursed threads, of course. It might be some hacking stuff btw, not sure about it. Is there one? What is it about? Granted, but the thread is raided and most members killed because of rumoured communist spies. I wish I could get an A in Portuguese. @Tyrud Hey man, thanks. I have some trouble, aye, and I sometimes have trouble with arms aswell. Either way, thanks for pointing out a flaw. So this is back, huh? 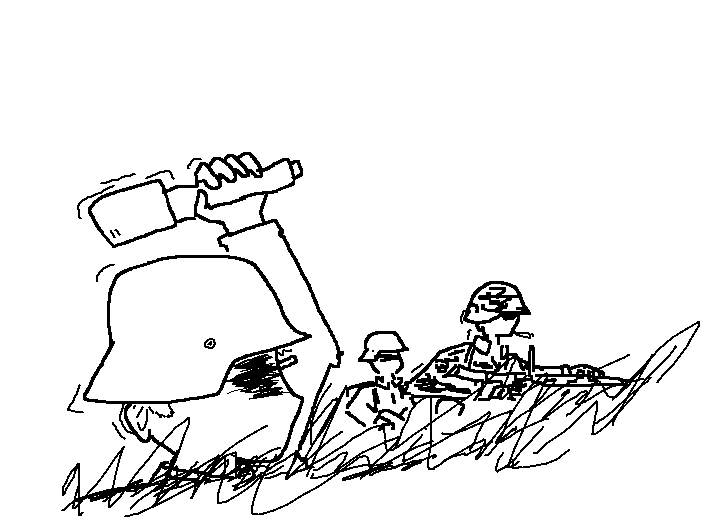 Well, then have a quick doodle of some Heer soldiers.